How can I get enough time to do things I want to do? How to have better time management? Home » Ask Tony » How can I get enough time to do things I want to do? How to have better time management? No matter how hard we try, we all only have 24 hours in a day. So why is it that some people seem to get more things done before noon than others do in a week? We’re pretty sure they don’t have time machines. Is it just because they have better time management? Or is there another secret to how to get things done faster? 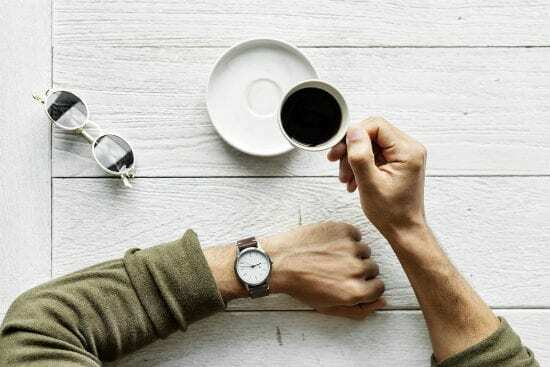 In fact, it’s likely that you have time for the activities you really want to do lurking in your current schedule, but you’re not aware of where you put your time and what you’re getting out of it now. Looking to create time to do what you want to do in your life? It’s time to assess your Windows of Opportunity. Once you get a clear idea of what’s happening and why, you’ll be able to make decisions that lead to better time management and give you back time to do what you want. Learn to make decisions that get things done faster! What would you do with 5-10 hours more a week? Before assessing what you already do, think about what you could do if you had just a few more extra hours a week. This is free time that’s completely yours. Would you hang out on the beach? Spend more time with your kids? Learn a new language? Play a sport or do a physical activity you enjoy? Make art? Go dancing? Jot down some ideas right now; we’ll wait. Now circle the top two or three that would make your life feel more balanced, would make you happier. Total up the total hours for those activities in a week. Remember: we’re just going to start with the most important things. Now let’s go create the time for them with some better time management. The first place many people can find an extra 10 or 15 hours a week to do what they want is by sleeping less than 8 hours a night. Think about it. If you sleep 8 hours, you only have 16 hours awake. But take care of your body better through diet and exercise and you can cut that down to 6 hours a night. Suddenly you have 14 hours more in a week. Just from one change. Sleep 6 hours a night instead of 8 and in an average month you gain 60 hours; that’s basically 5 days of waking hours to do whatever it is you want.That’s like gaining an extra week; now you know how to do what you want to do through better time management. Over a year, that becomes the equivalent to 12 more weeks in the year: That’s three months of waking time. How much more fun could you have with that much additional time? Of course, there are other places you can find time to do what you love instead of sleeping less (though for many that’s the easiest place to find extra hours). Tony calls this finding your Windows of Opportunity. It’s a way to assess where you put your time and what are you getting out of it. Often we don’t really think about what we’re getting from activities we spend our time on. But with some reflection you can see what you’re already doing, then make adjustments for better time management as needed. Basically you want to think about the things you do and assess them in two ways: Enjoyment and Value. You’ll think about both these categories on a scale of -10 (you hate it/it’s destructive) to +10 (you love it/it’s priceless). Value level from -10 to +10? -4 – usually this person watches TV to distract themself, so it’s actually somewhat destructive most of the time. Using this chart, which of the 4 zones does watching TV fall into – Frustrated, Fulfillment, Escape or Stress? Let’s go back to our TV watcher. By following enjoyment to the right and value downwards, you’d end up in the Escape Zone. The Escape Zone is a place that feels good, but isn’t good for you. And our example is spending 14 to 21 hours there a week! Tony uses an exercise at one of his seminars where he has people break down everything they do in a week and map out the results using this chart. That’s everything, from procrastinating to eating meals to exercising to specific tasks at work. Better time management requires an accurate understanding of your current habits in order to find those extra hours and create time. You can do the same now – write down what you do during the week, rank it for enjoyment and value it adds to your life, then honestly calculate how many hours you spend doing that thing a week. Cultivating your sense of purpose in life is an equal partner to developing practical time management skills. By way of example, imagine two business owners in the same industry. One has worked to capture his or her goals and purpose in running a business, while the other has not. Which do you think will have a clear sense of what tasks to prioritize not only to get everything done, but to also have a sense of calm and confidence? It is the ability to prioritize tasks by their value to the company that distinguishes business owners from business operators; the latter simply manages tasks, while the former prioritizes tasks strategically. The only way to truly prioritize your activities, business and otherwise, is to drill down to the primary reason(s) you’re doing them. With this information in place, you can then set goals and order your tasks to accomplish more in less time. By taking this purpose-filled approach to better time management, you’re able to create time strategically instead of burning through your time putting out fires. By honestly assessing what you’re doing and what it adds or takes away from your life, you now have the tools to make some lasting changes. These changes will give you those 5-10 hours a week you need to do the things you love. Look at your chart – how much time do you spend doing things you hate? Which of those tasks could you stop doing, give to someone else, or reframe so that they no longer fall into that zone? What about the Frustrated Zone – anything you can get rid of there? If lots of things are in your Escape Zone, what are you escaping from? Could you swap out some of those hours for activities you really want to do instead? We bet that you can find at least 5 hours in the week, even if it means procrastinating only half as long a day. Again, the key here is to clearly understand where your time is going now, then figure out where you’d like it to be going instead. It’s not just about how to get things done faster; there is an element of personal fulfillment involved in managing your time. To discover strategies for how to do what you want to do with the time you have, honest evaluation, better time management and a system to get motivated are likely what you need to find the time to do what you want to do. 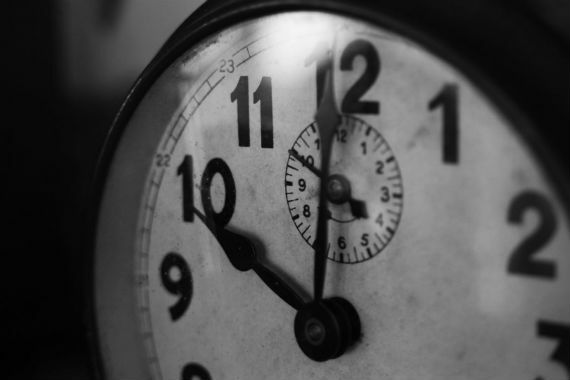 Learning how to manage your time can be a challenging process. However, don’t give up. Even the smallest changes, like finding Windows of Opportunity in your schedule, can have remarkable, lasting effects. As Tony says, optimization simply means the aggregate result of making a bunch of small changes that don’t seem like much, but because of the multiplier effect, those small changes add up to a giant change. Discover how you can create a system based on only effective and time-efficient decisions with Tony Robbins’ 4 Rules of Decision Making audio.